Every little nurse and doctor should have one of these to complete their Lab Coat outfit. 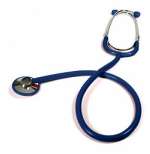 Our Stethoscopes are Real, Working Stethoscopes just like the one your Doctor uses. They come in many colors and styles and are great for learning about what doctors and nurses hear as well as great for pretend or playtime. 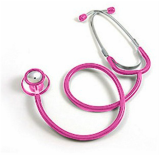 Real Working Stethoscope in a fabulous Pink color! Real Working Stethoscope in Purple! Real Working Stethoscope in a bright yellow color! There is nothing like having a red stethoscope around your neck!